The very kind people at Berentzen USA have sent me several bottles to taste and review: Icemint Schnapps, Pear Liqueur and Bushel & Barrel. They’re so kind. Aren’t they kind? BERENTZEN, YOU’RE SO KIND! Each bottle is fabulous and totally bursting with flavour but I’m going to start with Bushel & Barrel cause this is America and nothing screams AMERICA more than Bourbon and Apples. I’ve gotta be honest, this is truly delicious stuff! Upon opening the bottle, crisp, clear Apples come through, then the more complex spices from Kentucky Bourbon settle into your nose. It’s an awesome experience. 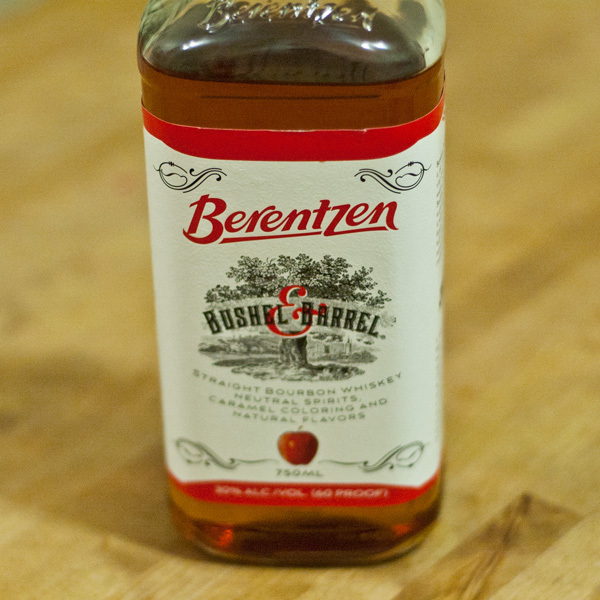 First taste also begins with Apple, fresh juicy Apple from Berentzen’s Apple Liqueur and then a bit of spicy kick from Bourbon. Again, awesome. At 60 proof, it’s neither too strong to use in cocktails, nor too weak to drink on the rocks. 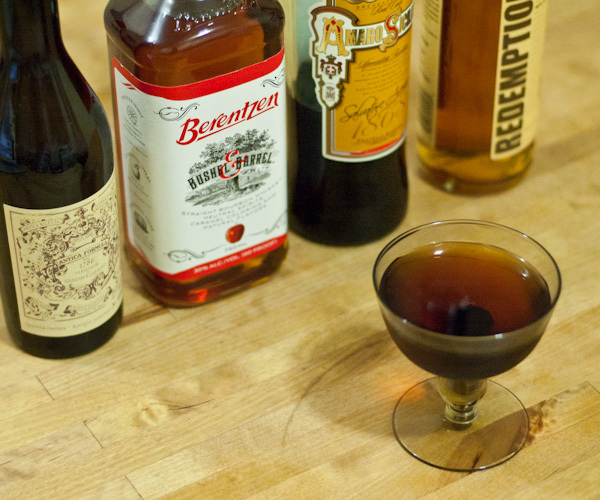 In fact, everything about this liqueur is super smooth and just right. In tin, combine Bushel & Barrel, Applejack, Lime Juice and Grenadine over ice. Shake and double strain into coupe, garnish with Lime Wheel. In tin, combine Rye, Averna, Bushel & Barrel, Carpano and stir over cracked ice. Strain into coupe, Maraschino cherry garnish. 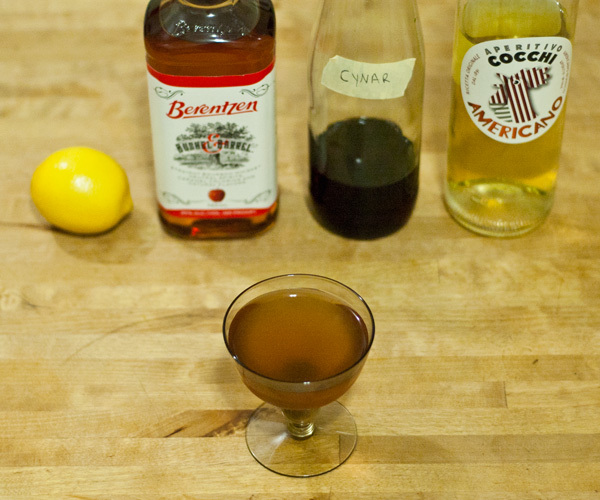 In tin, combine Cocchi Americano, Bushel & Barrel, Cynar and Lemon Juice over ice. Shake and double strain into coupe. Splash of Soda or Champagne on top. In tin, combine Bourbon, Bushel & Barrel, Raspberry Liqueur and Chartreuse. Stir over cracked ice and strain into coupe. 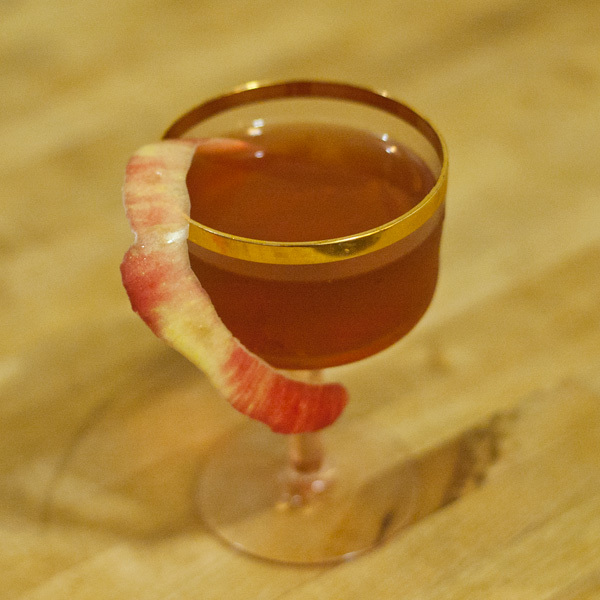 Apple Peel garnish. Well, that’s it for now! I’ve definitely got more recipes for Bushel & Barrel and will post them in the future! As for the Pear Liqueur and Icemint Schnapps, I’ll be reviewing them soon! This has been You’re So Kind, the post where someone nice gives me a bottle and I review it!